Celebrate the most joyful events in your life with a special delivery of delighful blooms! Featuring romantic hydrangea for an unique floral display that will touch their heart. I selected a small, simple basket. Flowers delivered were well-received by recipient. Recommending their services. Very easy website to use. My friend was impressed and delighted with her beautiful birthday flowers. A friend recommended this florist and I am pleased she did, the flowers are the most beautiful I've ever seen. The flowers I bought from your site were delightful. Everyone that saw them just loved them! Good things come in small measures. This bouquet was a lucky strike for my sister`s graduation. Thank you. Excellent flowers and convenient delivery! 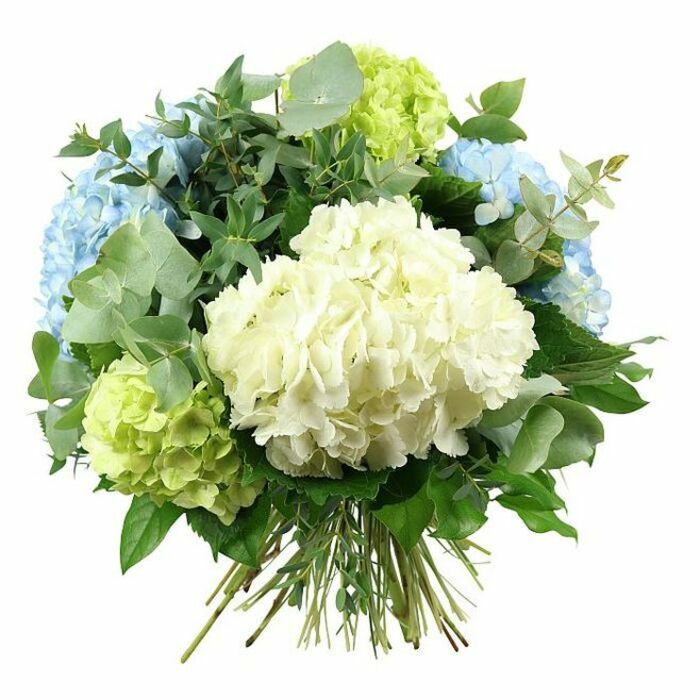 My aunt in Oxford loves hydrangea and my family always order bouquets of hydrangea for her birthdays. this year we ordered this sweet bouquet and she really liked it. Thanks!